A Brexit poll released from YouGov UK stated that the leave campaign was leading moving closer to the referendum, with the remain votes standing at 41% the Leave votes standing at 45% and then 11% undecided it seemed to cause a slight drop in the rate of sterling when released. 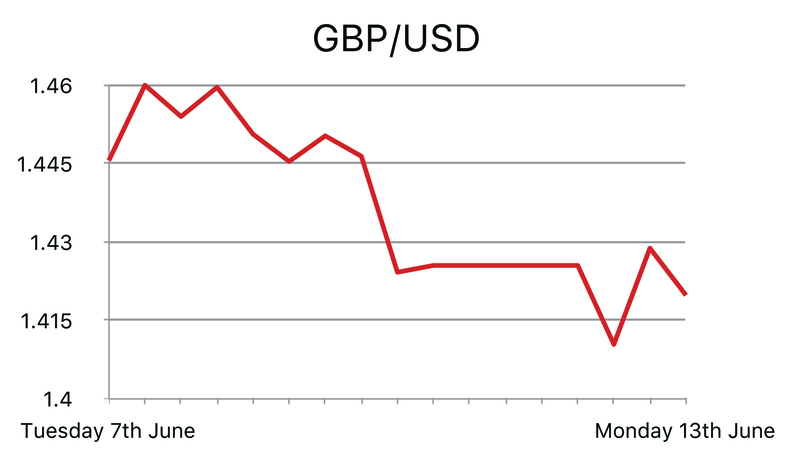 This coupled with 4 other separate polls being released over the weakened including a survey released from the Daily telegraph which stated that 69% are in favour of leaving further damaged the rate of sterling, increasing the uncertainty of the UK leaving the EU. 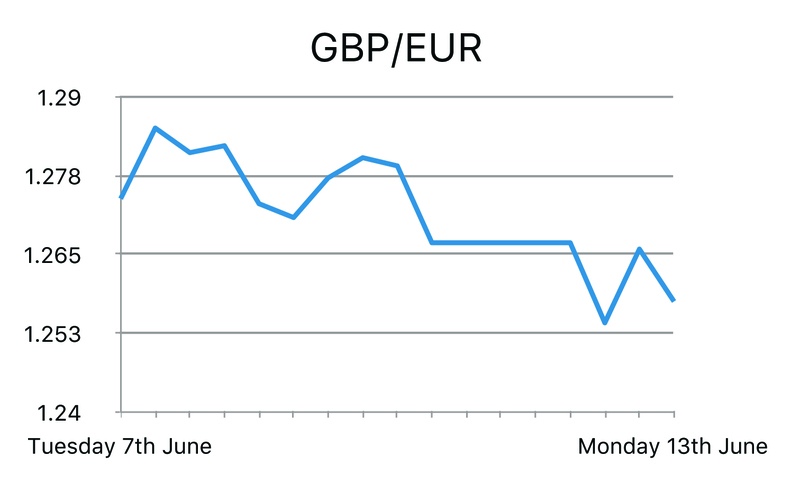 These Brexit worries have dragged the pound to a 3 week low, losing up to 1% against the dollar. With Brexit polls each painting very contradictory pictures; much more uncertainty is forecast over the next two weeks for the Pound. Brexit news and rumours again dominated the tabloids over the weekend as the Labour remain campaign will push today with former prime minister Gordon Brown speaking and setting out the case to “lead, not leave” the EU. Browns final 10-day push will be the centre-piece of a day of events led by Labour but carefully choreographed with No 10, amid fears that without a strong remain verdict from labour voters the referendum could be lost. After weeks of warnings about the risks of leaving the EU, Labour now hopes to switch the arguments to the benefits of staying in. Brown in his speech in Leicester set out a series of reforms he believes Britain could achieve when it takes over the EU presidency of the council of ministers in the second half of next year, including action on tax havens and an EU “solidarity fund” to help communities facing a rapid influx of migrants. For the US Dollar we saw the Labour Market Conditions Index (May) released which came out much lower than the previous -0.9 coming out at -4.8 showing quite a large drop. This figure usually runs at a negative correlation against unemployment figures and since the unemployment rate has improved it could be an indicator for the weaker figure. Investors seemed to rule out the chance of a rate hike next week due to the poor payroll figures that were released. The US dollar lost ground against its major peers as investors seem to be digesting the implications of Janet Yellen’s comments on Monday. With a 16 month continuous drop in factory orders (a statistic that has never occurred outside of a US recession), coupled with a poor labour report last Friday, many analysts believe it would be very unlikely to see a rate increase next week. These internal factors, along with external factors such as global uncertainty and the imminent EU referendum, seem to suggest that current monetary policy appropriately reflects current economic conditions. Hillary Clinton will most likely be the first woman to lead a major party in a race for the White House, thanks to her good results in California and New Jersey. It is widely expected, that given the uncertainty surrounding the Brexit and the potential systemic ramifications of a Brexit; the FED will not be raising interest rates. We saw the Factory orders released (YoY and MoM) for Germany. The year on year figure came out weaker than the previous of 2.4% coming out at -0.5% but in the month on month perspective the figure that came out was much weaker than the previous figure of 2.6% coming out at -2% which was way below the expected figure of -0.6%. This figure is an indication of shipments, inventories and new and unfilled orders within that country so the sharp fall shows a contraction within the German economy which is a powerhouse within the Eurozone. 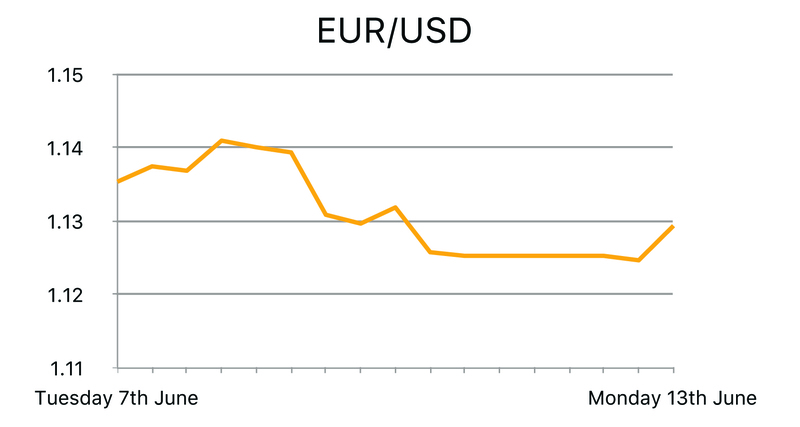 This stronger growth will be a boost for the ECB which has had to defend it's recent monetary stimulus package. One of the latest tools by the ECB to purchase corporate bonds as part of the €80bn a month QE package beginning tomorrow in a move which Mario Draghi hopes will provide further boost to inflation prospects. Greece signed a major privatisation deal that will fulfil key conditions for the release of further bailout funding. The ECB released its annual report on the Euro. The euro's importance as a tool of the global financial system is dwindling, according to the European Central Bank. At 19.9 percent, the share of the Euro in foreign exchange reserves has hit its lowest level since 2000 according to the ECB's annual report on the currency's role.Mario Draghi took the opportunity to urge European governments to play their part in boosting economic growth and inflation. Speaking at the Brussels Economic Forum, the ECB chief highlighted the importance of the fiscal policy and warned the lack of this fiscal interference from governments is making the ECB’s job harder saying ‘if other policies are not aligned with monetary policy, inflation risks returning to our objective at a slower pace’.